Anxiety Counselling and psychotherapy is helpful for those who have general anxiety, fears, phobias, social anxiety, and panic attacks. 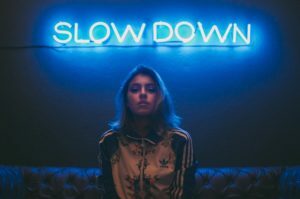 Mild levels of nervousness and anxiety can actually be beneficial to our performance, but anxiety can also be described as a term for several disorders that cause moderate to extreme levels of nervousness, fear, apprehension, and worry. These disorders, influence the thoughts in our minds, and the ways our bodies feel. Anxiety becomes problematic when it starts to interfere with the activities in your life, the people you see (or don’t), and the activities you participate in (or don’t). Anxiety can feel like a spiral, and cycle. We understand taking the next step can be daunting, but with a positive change in mind, anxiety counselling can help you learn more about the signs and symptoms of anxiety, and learn effective day-to-day tools and techniques to allow you to embrace life with less fear, doubt, and worry. Our trained therapists can develop a treatment plan with you using Cognitive Behavioural Therapy (CBT) and Mindfulness techniques to help you to feel more relaxed, less worried, and more in control of your life.